California Traffic Ticket Lawyers Can Fight Your Traffic Tickets, DMV Suspensions, Court Holds & More! Do I Need To Protect My Driving Record? Should I Consult With California Traffic Ticket Lawyers? Have you received a California Traffic Ticket and attended traffic school in the past 18 months? Can you afford to take multiple days off from work to wait in long court lines? Can you afford a point on your record and $100s of dollars in fines and fees? Does the idea of dealing with police officers, court procedure and legal jargon intimidate you? Then call today for a 100% free consultation – you will speak with one of our experienced California Traffic Ticket Lawyers guaranteed! WHAT IS THE COST OF A CALIFORNIA TRAFFIC TICKET? The answer is: too much. Fines and fees quickly add up to many hundreds of dollars. Plus, a California traffic ticket conviction stays on your record for over 3 years. This means your insurance rates will go up for each of the next 3 years. Also, many employers are checking DMV driving records to determine a potential employee’s ability for a job. These are just a few reasons to call the California Traffic Ticket Lawyers of Fix-A-Ticket, Inc., to help you. CALL FOR A FREE CONSULTATION 855-349-2849 / 855 FIX-A-TIX! I Received Notice That My License Will Be Suspended. Do I Need To Remove A Court Hold For A Failure To Appear? Do California Traffic Ticket Lawyers Handle This? Did you miss a recent court date? Did you receive a notice from the DMV that your license will soon be suspended? Then you have a FAILURE TO APPEAR and the Court placed a hold on your license. Consult with one of our experienced California traffic ticket lawyers at Fix-A-Ticket, Inc., today for a FREE CONSULTATION! 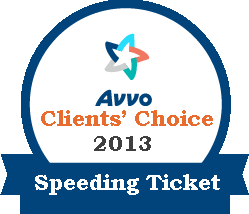 Do California Traffic Ticket Lawyers Clear Old Tickets? If you have an old ticket it may be possible to get the ticket back into the Court system and clear the point from your record. If you would like to find out whether your old ticket is eligible for a second shot call the California Traffic Ticket Lawyers at Fix-A-Ticket today. Fix-A-Ticket, Inc., and the Law Firm of Jason R. Miller, is a group of experienced California traffic ticket lawyers who dedicated their time to fighting California Traffic Tickets. Our attorneys are accomplished and successful. They are great at keeping point convictions off your driving record. At Fix-A-Ticket, we handle all types of California traffic violations (speeding, failure to yield, failure to stop, red light camera violations, wrong lane, log book, and more). We also handle DMV Hearings, Failures to Appear/Court Holds, certain misdemeanors, and select personal injury matters. Call the attorneys at Fix-A-Ticket today so you can keep your driving record clean and your insurance rates low.